Gingivitis mostly occurs because of bad oral health. 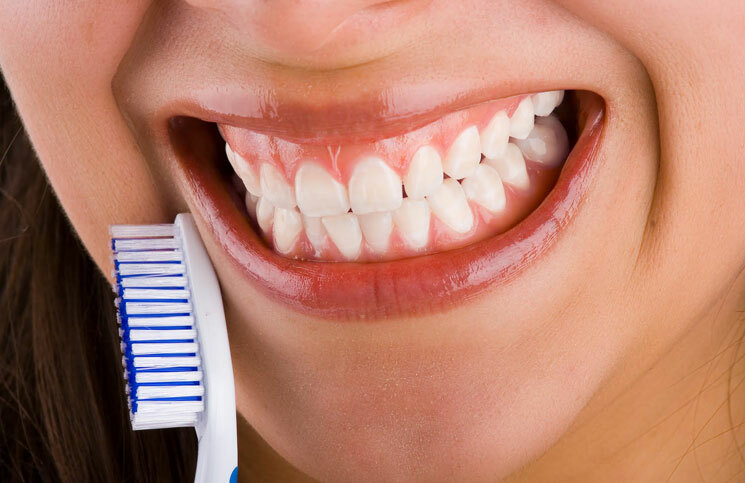 If you are not taking proper care of your teeth and not brushing them properly, then you are likely to suffer from gingivitis which is a gum disease. It is the most effective remedy for getting rid of gingivitis. Salt is a natural anti bacterial and is readily available in everyone’s home. When you use it for treating gingivitis, it changes the pH level of your mouth and soothes the gums as well. Take ½ teaspoon of salt and a glass of lukewarm water. Mi them and use this water for washing your mouth daily for two or three times. Alternately, you can also use salt in another manner. Take 1/2 teaspoon of salt and a few drops of mustard oil. Mix them together to form a paste. Apply the mixture on your gums for a few minutes. Now rinse your mouth with lukewarm water. Oil pulling is very effective when it comes to getting rid of gingivitis. It helps in eliminating all the bacteria and oral health problems present inside your mouth. For oil pulling, you need 2 tablespoons of sesame or coconut oil and a glass of lukewarm water. Put some oil in your mouth and swish it around so that it may be able to reach every tooth and gum area present inside your mouth. In this way, the oil will get hold of all the gingivitis causing bacteria. Spit out the oil after 5 minutes and wash your mouth with warm water. Many dentists swear by the antibacterial properties of the clove oil. It is a magical pain reliever. If you have a toothache, then apply the oil on the aching area, and the pain will eliminate. Similarly, you can also use clove oil for getting rid of gingivitis. Take some clove oil and cotton balls. Pour some drops of the oil on the cotton ball. Rub the ball on the affected gum. Hydrogen peroxide is best for oral hygiene, it may sound like a lot of chemical but is truly one of the best remedies for mouth hygiene with no side affects. Take a bit of baking soda into a table spoon and mix hydrogen per oxide in it until it forms a homogeneous mixture. Brush your teeth with a help of tooth brush as you do everyday and a little more gently on the gum side. Let the mixture be in your mouth for a couple of minutes and rinse your mouth with fresh water. This is not only a great remedy for gingivitis but gives best whitening treatment to your teeth without even going to a dentist and spending hefty loads of money n- repeat this remedy at least 2-3 times a week until you reach your perfect result !